HOLIDAY SPECIAL – Petite Animal Portraits! 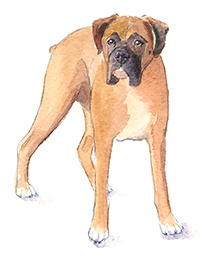 A custom portrait is the perfect gift for any animal lover! Purchase a gift certificate for a mini portrait (acrylic on canvas). Sales tax and standard shipping for the portrait is included! Gift certificate will be sent to the email address you provide.